Barak Obama won the Nobel Peace Prize in 2009 while sending more troops to Afghanistan. What happened to the "change" that was promised? Chomsky: I am one of the few who is not disappointed with Obama because I placed no expectations on him. I wrote about Obama's positions and prospects of success before the start of his campaign. Saw your website and it was clear to me that this was a moderate Democrat in the style of Bill Clinton. There is of course a lot of rhetoric about hope and change. But this is like a blank sheet where you can write anything. Those who despaired at the recent moves of Bush sought hope. But there is no basis to expect any one time to examine properly the substance of Obama's speech. His government has treated Iran as a threat due to its uranium enrichment program, while countries that possess nuclear weapons such as India, Pakistan and Israel did not suffer the same pressure. How do you evaluate this way of proceeding? Chomsky: Iran is perceived as a threat because they did not obey the orders of the United States. Militarily this threat is irrelevant. This country did not act aggressively beyond its borders for centuries. The only aggressive act occurred in the '70s under the Shah's government, when, with U.S. backing, they invaded two Arab islands. Of course nobody wants Iran or any other country to have nuclear weapons. It is known that this state is governed today by a loathsome regime. But apply the same labels that are applied to Iran to partners of the U.S. such as Saudi Arabia or Egypt, and it will only be lost to Iran on human rights. Israel invaded Lebanon with the blessing and help from the U.S., five times in thirty years. Iran has not done anything like that. Chomsky: Because Iran has followed an independent path and not subordinate to any order of international authorities. They behaved in a manner similar to what Chile did in the seventies. When this country was ruled by the socialist Salvador Allende, it was destabilized by the U.S. to produce "stability." It was not a question of any contradiction. It was necessary to overthrow the Allende government - forcible "destabilizing" - to maintain "stability" to restore the authority of the U.S. The same phenomenon is occurring now in the Gulf region. Teheran objects to the authority of the USA. How do you value the goal of the international community to impose severe sanctions on Tehran? Chomsky: The international community: a curious expression. 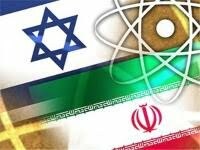 Most of the countries in the world belong to the non-aligned bloc and strongly support Iran's right to enrich uranium for peaceful purposes. It has repeated often and openly that it is not considered part of the so called "international community." Obviously only those countries that follow U.S. orders belong to it. It is the U.S. and Israel threatening Iran and this threat must be taken seriously. Chomsky: Israel now has hundreds of nuclear weapons and delivery systems. Of the latter, the most dangerous comes from Germany. This country provides Dolphin nuclear submarines that are virtually invisible. They can be equipped with nuclear missiles, and Israel is prepared to move these submarines to the Gulf. Thanks to the Egyptian dictatorship, Israeli submarines may pass through the Suez Canal. I do not know if this was reported in Germany, but about two weeks ago the U.S. Navy said it built a base for nuclear weapons on Diego Garcia in the Indian Ocean. There submarines equipped with nuclear missiles would be stationed, including the so-called "bunker buster." These are projectiles that can penetrate concrete walls several feet thick. They were designed exclusively for an intervention in Iran. Prominent Israeli military historian, Martin van Creveld Levi, a man clearly conservative, wrote in 2003, immediately after the invasion of Iraq, that "after the invasion the Iranians went crazy for not having developed any atomic weapon." In practical terms: is there any other way to stop an invasion? Why has the U.S. has not occupied North Korea? Because there is a deterrent. I repeat: nobody wants Iran to have nuclear weapons, but the likelihood that Iran would use nuclear weapons is minimal. This can be proved in the testing of U.S. intelligence. If Iran wanted to equip themselves with a single nuclear warhead, probably the country would be devastated. Such a fate is not to the liking of Islamic clerics in the government: until now they have not shown any suicidal impulse. What can the European Union do to resolve the tension of this so explosive situation ? Chomsky: It could reduce the danger of war. The EU could put pressure on India, Pakistan and Israel, the most prominent non-subscribers to the Nuclear Nonproliferation Treaty, so that they finally sign it. In October 2009, when they protested against Iran's atomic program, the IAEA (International Atomic Energy Agency) adopted a resolution that Israel defied, that this country sign the Treaty of Non-Proliferation of Nuclear Weapons and allow access for international inspectors to its nuclear systems. Europe and the U.S. negotiated to block this resolution. Obama made Israel know immediately that it should pay no attention to this resolution. It's interesting what has happened in Europe since the Cold War ended. Those who believed in the propaganda of the previous decades had to expect that NATO would dissolve in 1990. After all, the organization was created to protect Europe from "Russian hordes." Now they are not "Russian hordes," but the organization expands and violates all the promises it made to Gorbachev, who was naive enough to believe what President Bush and Chancellor Kohl said, namely that NATO would not move a centimeter in the direction of Eastern Europe. In the assessment of international analysts, Gorbachev believed in everything they said. It was not very wise. Today NATO has expanded to large areas of the East and follows its strategy of controlling the world's energy system, the pipelines and trade routes. Today it is a display of the power for intervention of the U.S.A. in the world. Why does Europe accept that? Because it does not put its foot down and looks facing the U.S.A.? Although the U.S.A. intends to keep on being a military superpower, its economy virtually collapsed in 2008. Billions of dollars were lacking to rescue Wall Street. Without the money from China, the U.S. might have entered into bankruptcy. Chomsky: There is much talk of Chinese money and it is speculated much from this fact about a power shift in the world. China could overtake the U.S.? I consider that question an expression of ideological extremism. The States are not the only actors on the world stage. To a certain extent they are important, but not absolutely. The actors, who dominate their respective States, are primarily economic: the banks and corporations. If we examine who controls the world and determines policy, we will refrain from stating a shift of world power and global workforce. China is the extreme example. These interactions occur between transnational corporations, financial institutions and the State insofar as it serves their interests. This is the only power shift, but it provides no headline.